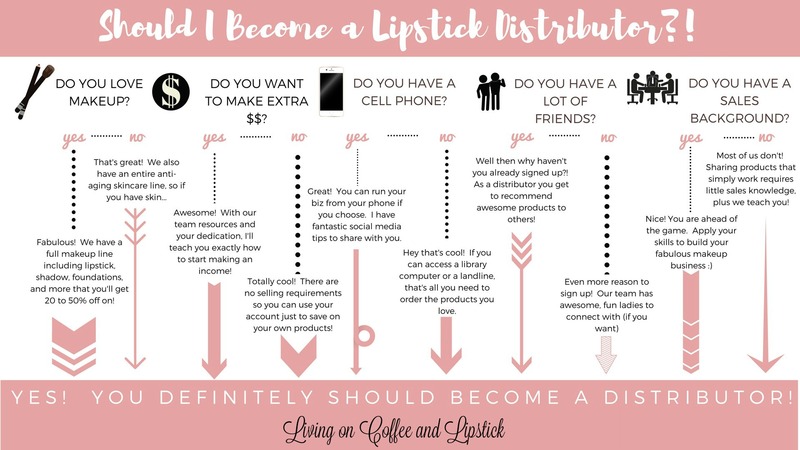 Should You Become A LipSense Distributor? I have received numerous questions from ladies wanting to know if they should become a distributor with LipSense/Senegence. Some of them are blogger friends, some are stay at home moms and some are homeschool mom. Well, guess what? I am all three of those! 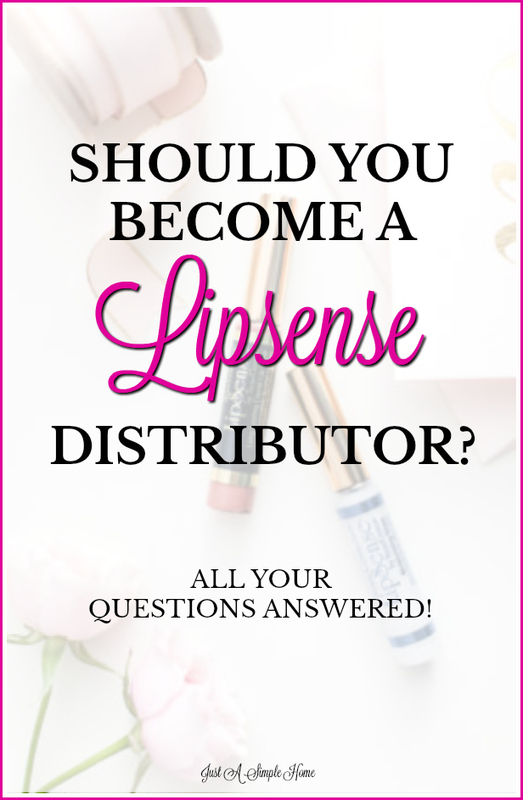 I thought I would answer some of the most frequently asked questions I get about becoming a LipSense distributor to help you make an informed decision. Questions like “Should I start my business?” and “How much does it cost?” and “What if I don’t know a lot of people?” After reading through, I think you will be able to make a decision for yourself! 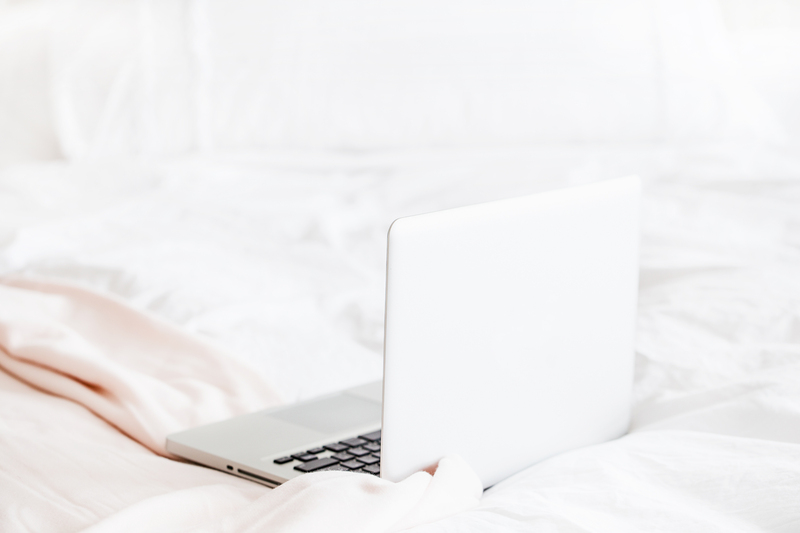 Scroll down to check out the FAQ or to sign up, but first – take this short quiz to figure out if you should become a LipSense distributor! Should I Become a LipSense Distributor?! Oh, good! Can’t wait to have you join us! 😉 Yes, this quiz is a bit silly, but it shows you that truly anyone can become a LipSense distributor. Now keep reading to get your FAQs answered. How much time does it take to be a distributor? You may not like this answer, but this is truly up to you and your goals. If you join just for the personal discount, it takes no time at all! If you are casually working this business for a side income, you can expect somewhere around 2-4 hours a week. If you want to treat this as a full time business and earn the incentives, like the free car and trips, you will obviously want to work more. You get what you put in. You should probably expect to spend about 10-15 hours a week on your business…but again, it depends on you and your goals. I will tell you that this business is amazing and is designed around fitting into a women’s busy life. When you join us, you will learn how to focus on only those activities that will be income producing activities, so you can be more productive in less time. How do I make an income? Earn profits on your retail sales of our cosmetics and skin care. You can choose to buy at wholesale and have your customers purchase from you at retail, which earns you the most profit. You can also choose to have your customers shop directly from your website. Earn commissions based on distributors your sponsor. You can choose to build a team of like minded women and quickly begin earning commissions from watching your team grow. This opportunity is fun, why not share it?! Earn numerous monthly bonuses based on group sales volume. The company also has numerous incentives for new distributors in their first 90 days which allows you to earn the most money possible and qualify for over $1200 in free products. It costs only $55 a year to join. It is similar to a Sam’s Club or Costco membership, if you are only joining for the discount. This gives you access to our discount of 20-50% off every single product. When you sign up, you will receive a kit with a book, flash drive, marketing materials, catalogs, trainings, and more. What is the discount structure? This may sound confusing, but it is pretty simple. Your discount is based on Personal Volume, or PV. PV equals half the retail cost and is cumulative each month. *Once a cumulative 750PV is reached in a calendar month, 50% discount will be applied for all subsequent orders that month, no matter the size. *If you order 750PV all at once, SeneGence/LipSense distributors get FREE SHIPPING! Are there monthly minimums or autoships? Nope! No monthly quotas, no minimums. Work if you want, don’t work if you don’t want. The only requirement is ordering 100PV within a 6 month period to keep your account active. If you love the products as much as I do, this will be a no brainer. *Once you have a team, there are small monthly minimums to meet in order to collect commissions and group sales volume bonuses. How do I market the products? Again, this is up to you! When you join our team, you will be part of one of the top teams in the company, so you will have plenty of resources at your fingertips. You will learn about meeting with friends to share with them, wearing stripes on your hand, using social media (this is how I market my business almost exclusively) and vendor events. LipSense literally sells itself, it’s amazing. Wear the product, share your excitement about it and treat others with great customer service. Simple. Can I Really Earn a Free Car? Yes! And in less time than you think! If you take this business seriously, you can take advantage of the amazing perks this company gives to us. We can talk more about earning this car bonus if you have questions. You can always email me at terryn@justasimplehome.com or leave a comment down below. You can send me a Facebook message and we can talk there. I would love to set up a time to chat on the phone as well, just email me so we can set up a time. I’m so excited for you! You are joining one of the top teams in the company! I can not wait to connect with you and learn all about your goals. Click here and select the appropriate country. Terryn Winfield should show up as your sponsor – double check! Select “individual account” and continue. Welcome to our team! I will contact you directly to help you but if you are eager, feel free to send me an email right after you sign up! I’m so excited for you! Contact me at anytime! I look forward to working with you! What Happens When I Become A LipSense Distributor? Wow, a very thorough article! I never heard of Lipsense before, but it sounds intriguing. The beauty industry is blooming so this may be something to consider ! My daughter loves this lip stuff! I really need to try some. I know some people around here that sell these products and I see them set up around different events. Great for those wanting or interested in selling. Thanks for your perspective on this! I’ve heard so much about lip sense before! I have several friends who swear by LipSense. Amazing products! Thanks for sharing. Never heard of Lipsense before but seems like it has a lot of potential. I know of a couple folks who would be interesed. Will pass this info to them. Thanks for sharing. I’m so glad it was helpful! I would love to chat and see if this could be a good fit for you! I very interesting read as I’ve never heard of Lipsense before. You have given a very good overview of what to expect when becoming a distributor. I love lipsense, I can’t believe how great it stays. Unfortunately, I don’t have the time and I hate asking my friends and family to buy stuff I’m selling. Hey Trina! Are you a distributor already? You shouldn’t have to bug friends and family! I’d love to help you if you haven’t signed up yet! And yeah, I hear you on the staying power. Crazy! Wow I keep hearing about Lipsense and it really sounds amazing! It’s amazing what an opportunity to make a great income. A free car, a trip, what incentives! I had a brand spankin’ new Tupperware car for awhile back in the day. This sounds like an awesome plan for some with time and knows people skills. Lipsense sounds kind of fun actually. Thanks, Gladys! It is! It’s not like anything I’ve ever done before. I would love to chat with you if you are thinking about it. Thanks for this information about being a lip sense distributor. I love how this company enables multiple ways to generate income for a working yet stay at home mom. I have a few girl friends who sell Lipsense and love it!! Never heard of lipsense. Wish I had more time to get involved with this. I am always looking for a way to make money. You haven’t?! Glad I could introduce you 🙂 You don’t need much time at all to devote to the business, it really is up to you. Some girls just wear LipSense while out and about and naturally sell that way. I would love to chat with you and see if it would work for your lifestyle! I haven’t heard of lipsense either. Looks like I’ve been missing out! I’ve never heard of Lipsense but I sure love beauty products! Keep making things happen girl! So many of my friends are in this business and are having so much success. Great way to see if it’s something to take on. Really?! That is exciting! Today is the last day to sign up for free, so let’s chat asap! I will try, thanks for sharing these wonderful info about becoming lipsense distributor. I also Like that fact it is free. Yay! It is only free through tonight! Can’t wait to help you! Sounds interesting! I never heard this product but is it availablr to ship orders to Manila? Good luck to new distributors. Thank you! We aren’t there yet, but soon! I know a few people who share these types of products and I always wondered about it. Great to read more info, thank you!